« Would you Character Transfer more if it were cheaper. 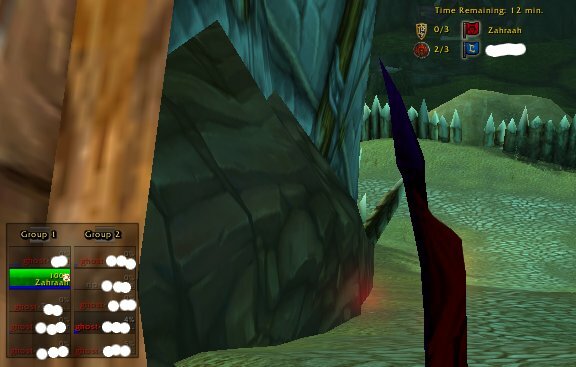 I was queuing solo for WSG and most of the BG’s had a premade component to them. There was 6 from one realm ( they qued doing a ‘pop’ – all enter at once to bypass the 5 man restriction) who demanded I go heals. I have come a long way from the refusing to heal for people. But Holy in BG’s in painful even when you know your team has your back. Spurting out some flashes and renews only to be stampeded by the opposing team is not my idea of fun for a complete bunch of strangers. 1.3 resil in a Pvp dps spec, and all the wonderful trappings and stuns, silences and fears I have, I was better off staying in Shadow, and healing if someone needed – and they did have hybrids on their own team. After asking them – why they que’d as premades without heals, I told them no. ” I let them down” apparently. I told them they had an opportunity to try different stats, and not stand in the GY getting farmed. If I could sneak over every time. Down the ramp, over the tunnel, so could some of them if they had tried. I’ve been a farmer. It’s a strat that works. Keep them in the GY. This only works if the team is stupid enough to stay in the GY. So yes it works often – don’t be stupid. Think outside the GY. I was perusing a guilds recruitment website the other day, and one of the questions was a long the lines of picking a song that represents your attitude to progression, and wiping has always been the realm of PVE, and Arena, and now it will be BG’s as well. If you want to go places you need to die few times. Get back up, try again, and do it differently. They would have felt so much more better if they had worked as a team instead of Ghosting out. Just saying! Our current Kiwi Shadow priest is going Holy Paladin! We need a new Shadow Priest, maybe one from Oz! Alas, our times aren’t all that friendly. I have found myself becoming less and less patient with people who just give up in BGs. Some of the most memorable battlegrounds I’ve been in are the ones that we make a remarkable comeback. Often times this happens because the original fail group will leave the BG, allowing a new group of more capable players to join late and help bring a victory. I have yet to see this group ghost mentality on my battlegroup. I know if I did see that though I would be doing everything in my bg-chat power to get them to drop group so we can get better people in the bg. But waiting out a BG as a ghost… better off taking your chances with an /afk deserters buff.. probably take less time to remove the stink of the shame too. Dating back to the MUD era, the theme song of my multiplayer RPGing has been Don’t Fear the Reaper. What I struggle with is the fact that my appetite for repeated death almost always exceeds that of anyone I play with. must be productive dying though!